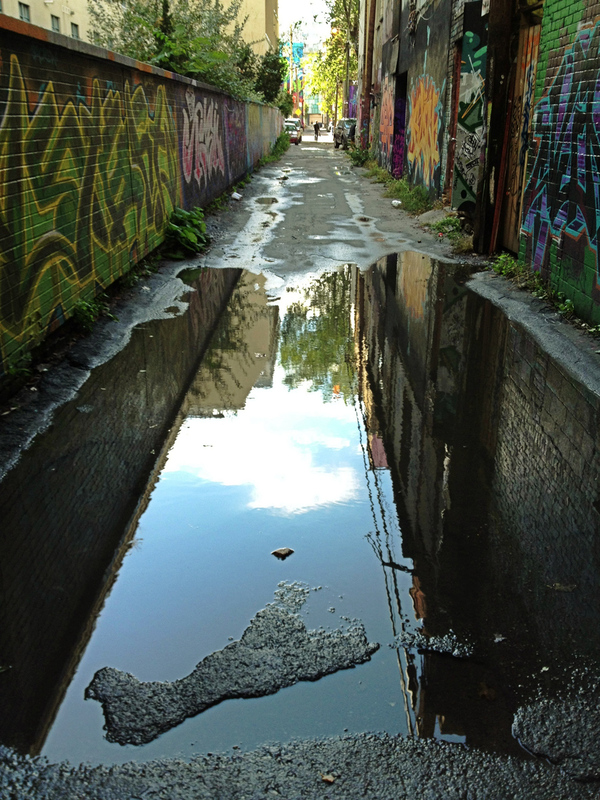 One of the workshops led by Denise Ippolito was at Graffiti Alley in Toronto. I’ve shot here before and the street art is just amazing. Unfortunately I couldn’t participate in the workshop as I had to work but it is only 5 minutes from my office so I walked over to say to the group. Of course while I was there I couldn’t let the opportunity pass me by without taking a few iPhone shots and this reflection was just to good to pass up. Shot with my iPhone 4S and edited with HDR FX Pro.